Ensures comfort and stretch to achieve a custom fit every time. Latches on the last button of your shirt, and connects to the locking tab. 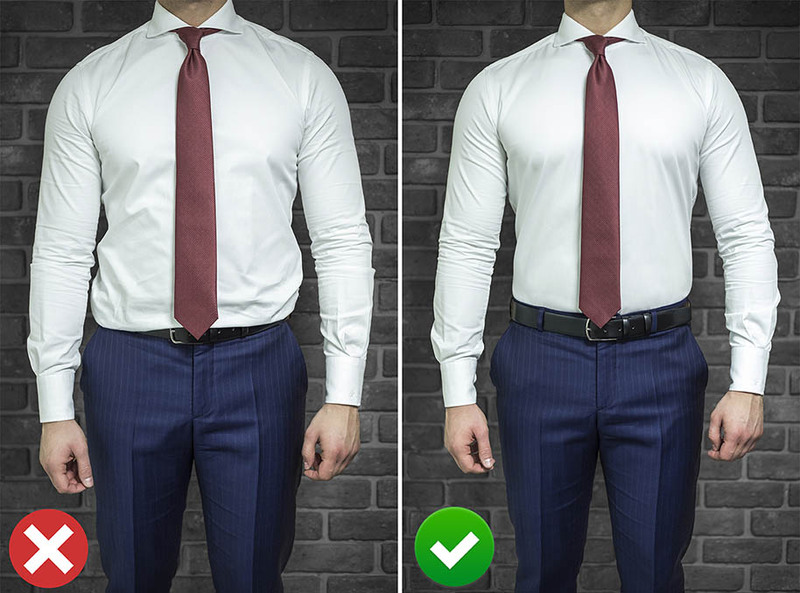 Prevent the shirt from rising up and coming untucked. Adjust to size with a simple slide. Attaches to the Locking Hook, securing the belt in place. Each tab is securely stitched in place for maximum reinforcement. 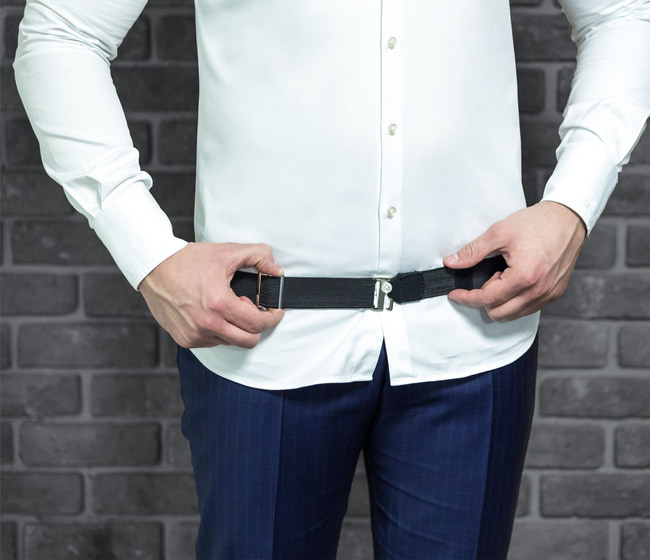 Tucker is the easiest and most effective way to keep your shirt tucked in tight against your body. It’s a unique and easy to use device that uses elastic tension for a noticeably improved image. 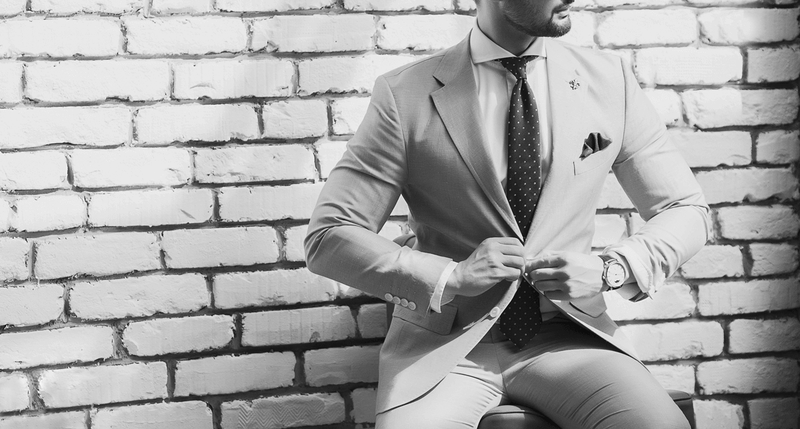 Not only is it comfortable and concealed, it gives your body a more slim appearance. 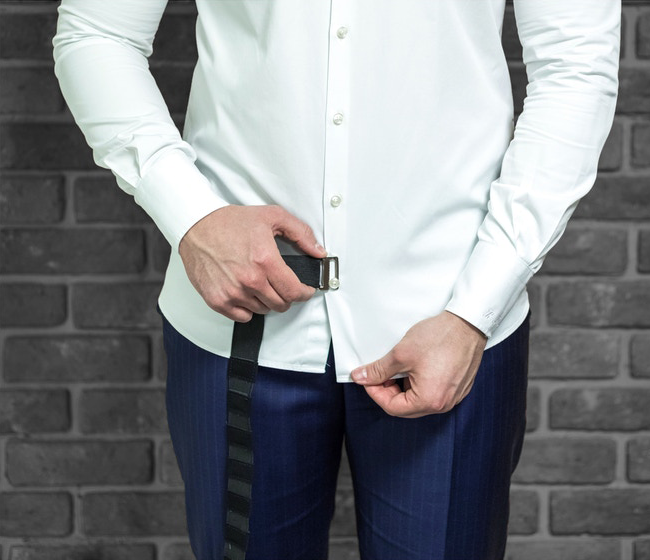 Rubber grips and a button slot guarantee your shirt to stay tucked, keeping it low and close to the body. No more embarrassing looks! © 2018 Tucker. All Rights Reserved.